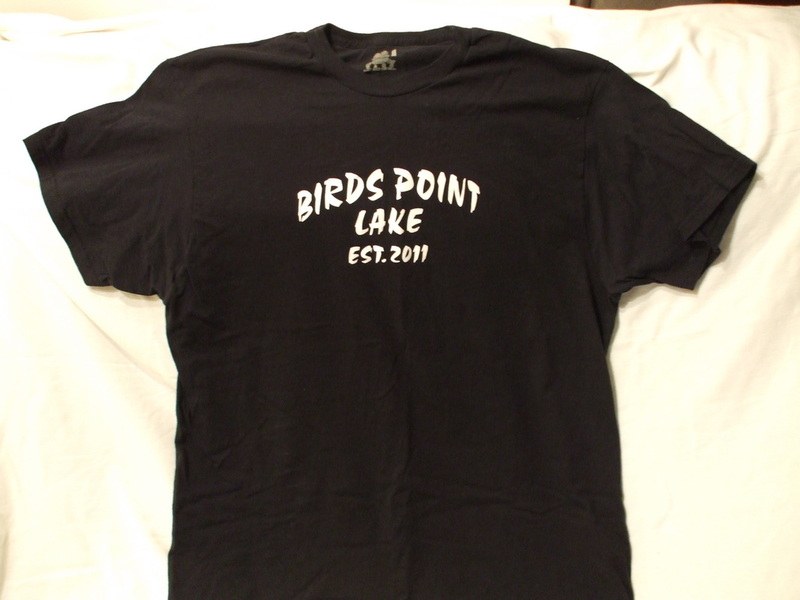 Birds Point Lake logo on front with a catchy phrase on the back that reads "You'll have so much fun! You'll be like our levee - BLOWN AWAY!" 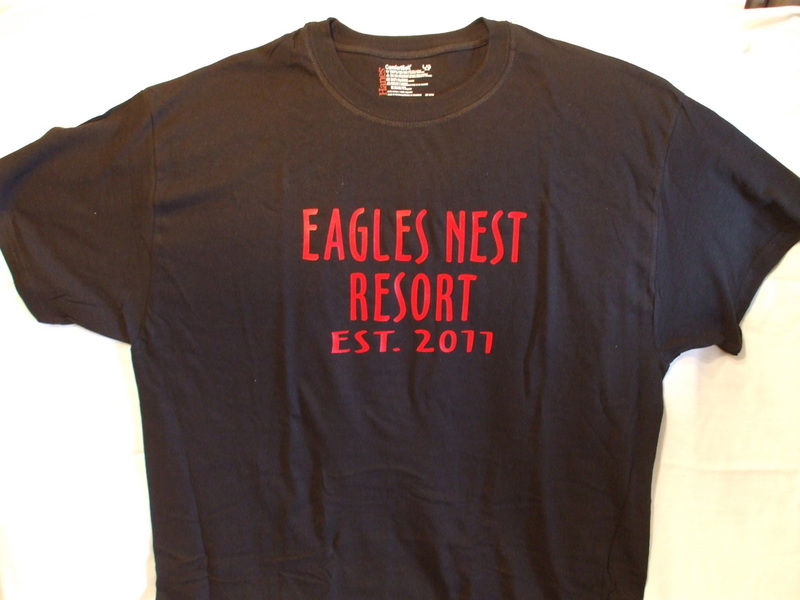 Bayouville Boat Club logo on front with a phrase on the back that reads "Get BACK in the WATER"
Eagles Nest Resort logo on front with the phrase "It's a BLAST!" on the back.